My students love brainstorming, writing and illustrating this book. 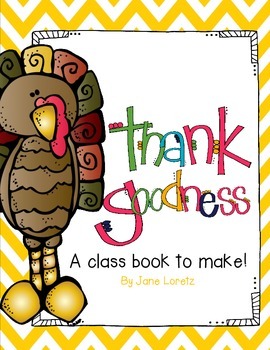 The pages in this book have students thinking from the point of view of someone or something else and having to come up with why they may be thankful. Your students will soon see how we all have something or someway we can be thankful. There is a page included where students can write what they are thankful for. There are 25 pages for students to write from the point of view of something, or someone else. -Give each student a page to finish completing and illustrating. -Put together as a class book.